Cleaning your car seats can seem like a pain but paying to have your car cleaned can be even more painful. In a perfect world, we would get our car detailed on a regular basis but seeing as this isn’t a perfect world, here’s how to clean your car seats yourself. It is going to be hard to clean your car if you happen to use it like a closet, pantry, or storage unit. You’re never going to get a good clean by simply playing tetris with the objects in your car to expose car seat fabric. So the first step is to empty your car of all large objects. Have a trash can or recycle bin handy because we can almost guarantee you’ll find receipts, coupons, wrappers and more scattered throughout the floor and seats of your car. Remove any clothing, and preferably wash it, as well as any other items you have sprawled out in your backseat. Once you have your car cleared of all miscellaneous objects, it is on to the next step. The next step for a nice, deep cleaning of your car seats is to vacuum. The main purpose of this is to remove any dirt, sand, crumbs, and other debris that might be spattered throughout your car. There are two reasons we want these small particles gone prior to any washing. The first is that if it happens to be dirt, adding water to the mix will just make your seats muddy. The second is that if there are small particles like sand present while you are scrubbing, you run the risk of causing micro tears as the grains rub against the cloth or leather. These micro tears can eventually become full blown tears. So give your car a solid, thorough vacuuming before applying any cleaning solutions or scrubbing. You can probably browse the web for hours comparing different types of cleaning solutions for your car seats. 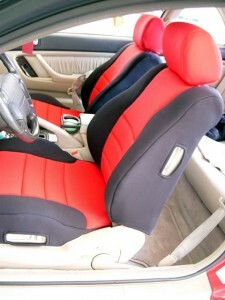 You’ll first want to specify what type of material your car seats are made from before applying any of the solutions. You want to make sure that the solutions you are using are safe for your car seats’ material. Many homemade cleaning remedies will include various combinations of laundry detergent, dish soap, vinegar, baking soda, and water. You’ll be diluting small quantities of the cleaning agent in the water so whatever you have on hand will likely suffice. Alternatively, you can likely find car specific cleaners at the store if you’d rather not get into mixing your own solutions. Once you’ve thoroughly cleaned your car seats using your cleaning solution, a brush or rag, and then rinsing with water, you’ll want to let the car air dry. Once your car’s seats are relatively dry, give it another once over with the vacuum. This will help remove any particles that may have come loose during your scrubbing process. 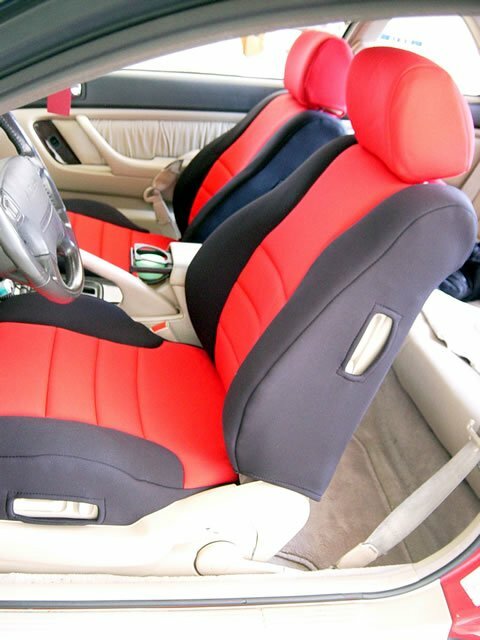 Now it is time to enjoy your clean, like new car interior. ← How Often Will Neoprene Car Seat Covers Need To Be Replaced?